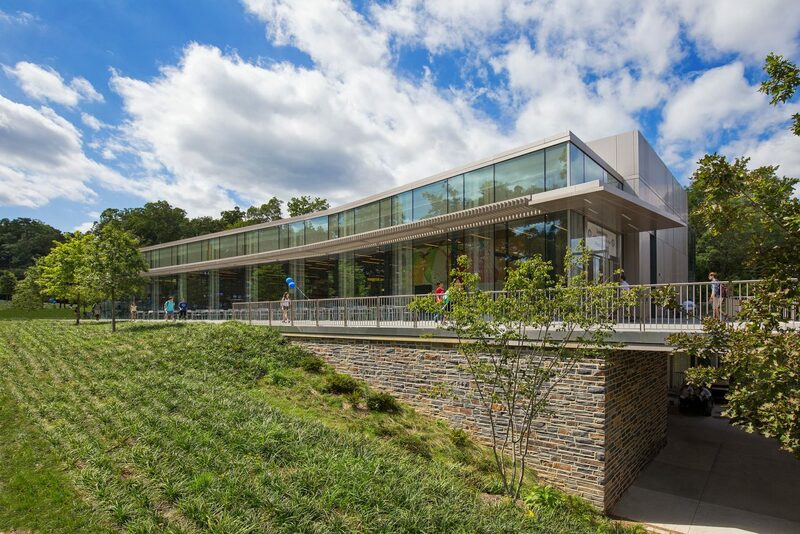 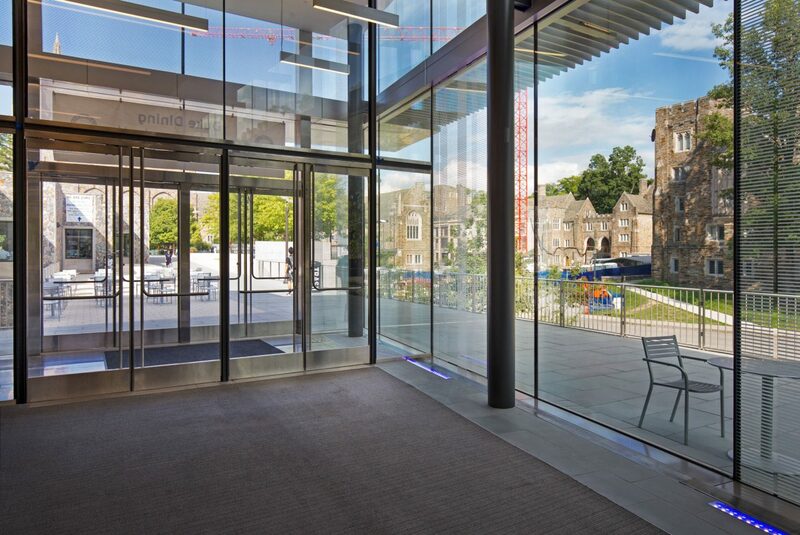 The new Penn Pavilion marks the first step in a comprehensive scheme to revamp the West Campus at Duke University and is occupied by a variety of restaurants as well as rooms for meetings, courses and conferences. 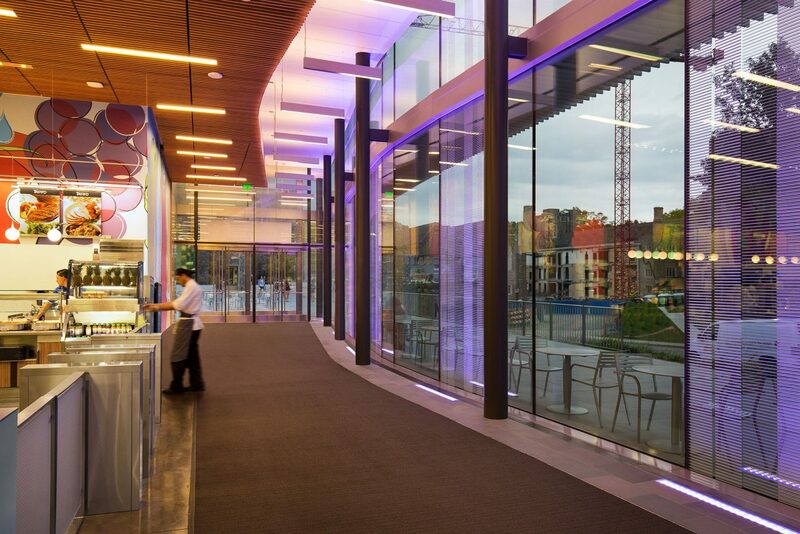 The Penn Pavilion has an extensive glazed curtain walling system with aluminum frame and boasts panoramic views over the nearby Anderson Woods and the Gothic Quarter. 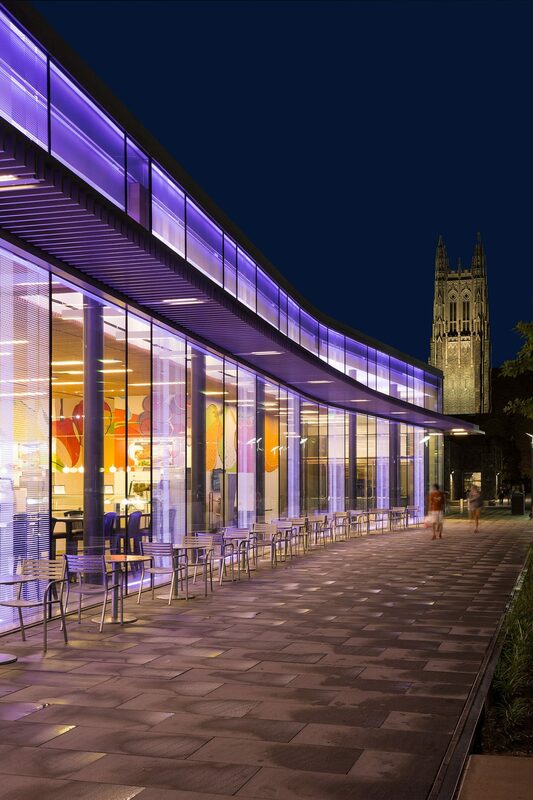 The curved east facade, which is designed to express movement, was fitted with a mullion-less SG facade. 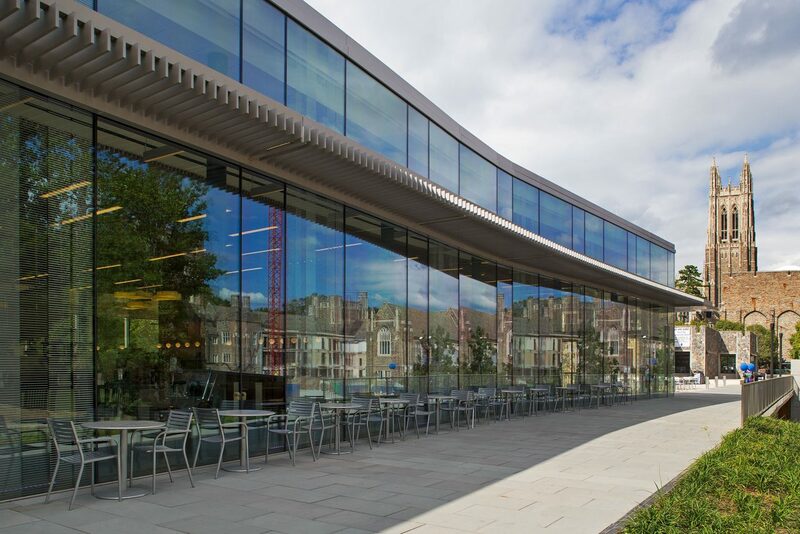 As part of an integrated daylight management system, the external solar shading and the special glazing minimize direct sunlight and glare.